LEM Food and Jerky Dehydrator. Digital Timer ensures more accurate temperature and consistent heating. Thermostat adjusts from 85 degrees F to 160 degrees (30 degrees C to 70 degrees C). 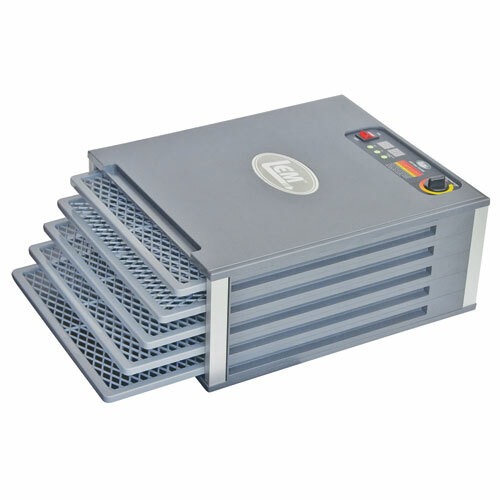 500 watt Heating Element. Rear mounted fan to prevent messy drippings on fan. Heat trapping doors allow for trays to be removed without loss of drying efficiency5 large (15 x 15) removable & easy-to-clean trays. Even Drying 15 x 15 square trays offer 4 rotation options versus 2 options available on standard rectangular models. Each tray provides over 1 _ square feet of drying space. 48% more drying space per tray! 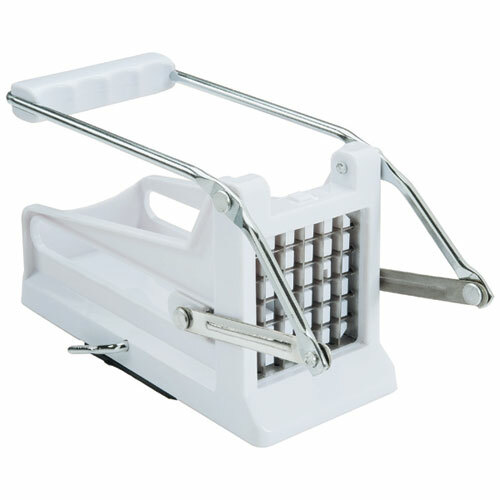 Food Grade ABS Injected Plastic Housing and Trays. BPA Free. Rigid aluminum reinforced corners for extended life. 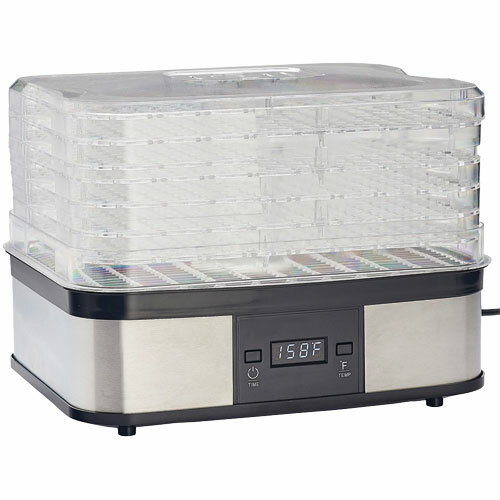 LEM Products digital 5-tray dehydrator features digital display. Clear housing to monitor food. Internal fan to reduce drying time. Chimney-like center to allow for air flow. 3.5 sq. ft. of drying space. Timer: 1-36 Hours. Digital presets for temperature. 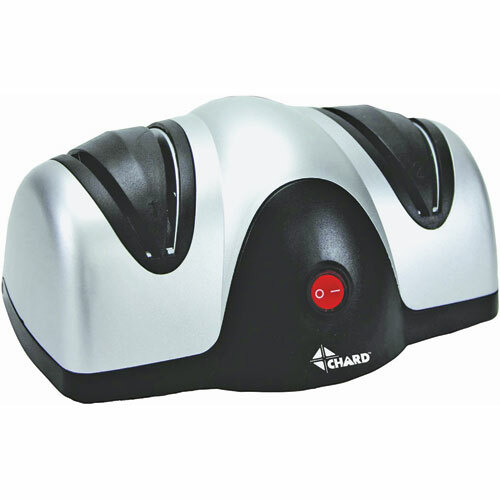 The Chard 7.5 inch Slicer is made of quality components, features innovative design, and has plenty of power. 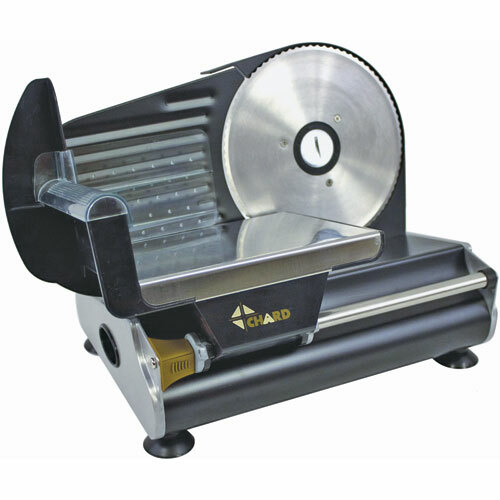 Two-Stage sharpening system. Easy to use. Takes a truly dull blade back to a razor's edge. Comes with two stainless steel cutting plates: One plate for regular and one for thin fries. The suction base attaches to any smooth flat surface.